Preparing for a thru-hike takes a lot of work. Preparing to travel for six months in a new country takes a lot of work. But what about when you combine the two? I’ve never set foot in the US. Two years ago I wouldn’t have been able to tell you where Georgia or Maine were, let alone all the intervening states. As an international soon-to-be hiker there’s been an extra level of complexity to my preparations. While there are countless articles analyzing every piece of hiking gear imaginable, I’ve found very few discussing how to prepare for a thru-hike from abroad. I’ve learned almost everything I know about thru-hiking through the internet. This post is my attempt to collate some of the things I’ve figured out. I’m going to look at how my preparations may have differed from someone in the States and explain how I plan to tackle some things on trail. At the moment a lot of it is hypothetical, we’ll have to wait and see how all the things I plan to do on trail actually work out! If you’re planning a thru-hike from abroad be prepared for no one you know to know what you’re talking about. The most common response I get when I tell people what I’m planning is either a blank face or a simple “What’s that?” question. Although I’m sure not every US citizen would be able to give a detailed description of the AT, I’m sure that general awareness must be higher than it is over here. If people have heard of it they generally think it’s the PCT because of the film Wild. This lack of knowledge isn’t necessarily a problem, but sometimes it can be draining having to explain the concept completely from scratch every time. The benefit is that no one has any preconceived expectations. I’m not immediately told that I’m going to be eaten by a bear/struck by lightning/attacked by a stranger, which seems to be a lot of hikers’ experiences. The easiest way of explaining it to my friends is that it’s basically like doing D of E for six months. D of E (the Duke of Edinburgh’s Award) is an awards scheme that the majority of British teenagers will choose (or more likely, be forced into doing) at some point. It culminates in an expedition that is a essentially a backpacking trip for a few days. D of E expeditions are generally synonymous with huge, overladen backpacks, clumpy, ill-fitting boots, bad weather, and getting lost. Most of my peers do not look back on this fondly and think I’m crazy for voluntarily signing up for more. 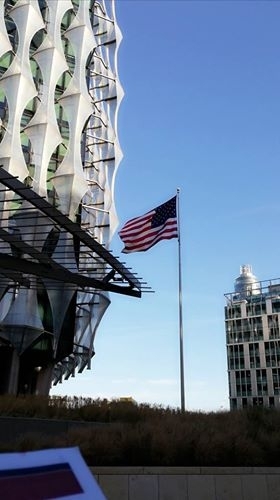 From the UK and many other countries you can apply for an ESTA to travel in the US for 90 days visa free under the visa waiver program. While a 90 day thru-hike might be possible for some, for me it definitely isn’t. Queuing for passport control outside the US Embassy in London. I have no idea how typical my experience of this was but know it can vary depending on your personal circumstances. It seemed to me that you needed to demonstrate that you had a plan and could support yourself while over there and that you weren’t going to try to stay there forever. Within a few days they’d sent my passport back to me with my visa inside it. The easiest way to give this context is to say that REI doesn’t exist in the UK. Due to the UK being so tiny, the longest trails here are nowhere near the scale of those on the other side of the pond. This means there isn’t quite as much market for ultralight hiking gear. For me, part of the issue is that although there is a lot of very good stuff over here, all the “Top thru-hiking tents for the AT” and “Most popular shoes for thru-hiking” lists on which I’ve based my research feature brands available in the US, some of which do not have UK branches. Long story short: I ended up paying £86 to import an REI tent. 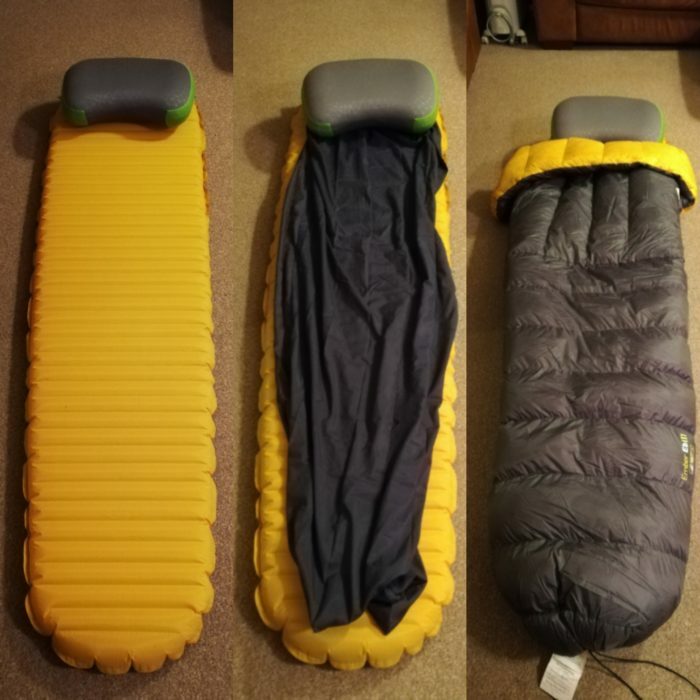 I probably could have found a very similar tent from another manufacturer but, as I mentioned in a previous post, I’m pretty stubborn and once I’ve got my heart set on something it’s pretty hard to change my mind. So I sat down one evening, clicked order, and decided to worry about the cost of importing it when I had to pay it. That was about three weeks later when it finally arrived in the UK. As stubborn as I am, I have learned from this mistake. For months I’d been pining over an Enlightened Equipment Enigma quilt but I couldn’t find a UK stockist. After spending £86 to bring something into the UK that I’m only going to have to transport back again, I decided there must be other quilts out there. A few google searches later and I’d ordered myself a Sea to Summit Ember quilt. Free shipping, no import fees, and it arrived at my door within two days. Some things we just have to learn the hard way. As far as UK outdoors retailers go, my favorite at the moment is Cotswold Outdoors. It has a very good range of products with a lot of the big brands but doesn’t have the highest ultralight ranges of things such as tents and quilts. I’ve managed to get my stove, sleeping pad, torch, and a lot of other smaller pieces of kit there. Go Outdoors and Mountain Warehouse are also pretty good but again lack the ultralight stuff. My biggest recent revelation was stumbling across Ultralight Outdoor Gear, a website that specializes in, guess what, ultralight outdoor gear. So far from there I’ve bought my quilt, pillow, and trowel, all at decent prices and with free shipping. I’ve also got a few things from Amazon. I’ve now got all my big pieces of gear, and although I’ve probably paid a little more than in the US, the prices haven’t been too extortionate. There’s a bit more shopping around involved and a bit less choice, but so far I’ve been able to get hold of everything I need. Obviously, the farther you’ve got to travel the more it’s going to cost. However, transatlantic air fares are now pretty low. I’ve paid £200 for a flight from London to New York, then £84 for an internal flight to Atlanta. I’m then going to give myself a couple of days staying in a hotel or hostel to get used to the time zone and pick up a few last-minute gear bits. For me, personally, the flights themselves are quite daunting. I’ve always suffered from motion sickness and have a bad track record on long-haul flights. Last time I flew long haul I was sick into a bag, which turned out to have holes in the bottom. The time before that I had a nosebleed and sneezed blood all over my inflight entertainment screen. You get the idea. Part of the appeal of doing a long-distance hike is that you can’t get travel sick when you’re walking. Accessing my money abroad is one thing I had sorted before I started prepping for my hike. Having spent a lot of time living in France, I’ve needed to do this before. A couple of years ago I signed up for a Monzo card, which is a British bank card designed to be used abroad. It doesn’t charge conversion fees and allows you to withdraw a certain amount of cash from foreign ATMs without a charge. It’s all managed from an app that instantly gives you a notification when you spend money, showing you how much you’ve spent in both the local currency and in GBP. I’ve never used it in the US but I’m optimistic that there won’t be any issues. My problem is more likely to be finding a cash point to use it in. Nowadays my normal strategy when going abroad is to rely on Wi-Fi for calling and messaging home. Unfortunately for me there’s no Wi-Fi in the woods so I’m going to need some sort of phone that’ll work in the US. I’ve bought an unlocked phone and am planning on buying a SIM card on arrival. As I’m only there for six months I’m hoping I can find some sort of pay as you go type deal. Apparently the best network for signal on the AT is Verizon, but in the US UK phones are limited to using AT&T and TMobile so I’ll have to go with one of these and hope for the best. I’m also taking a Garmin Inreach GPS device so I’ll be sending my location to my family and will be able to contact them and send out an SOS call even when out of range of phone signal. I don’t know what Wi-Fi provisions in hiker hostels are like but I’m hoping that when in towns I’ll be able to find some sort of Wi-Fi to call home without paying international calling charges. I think contacting home from the woods will be difficult for everyone; the main difference for me is going to be dealing with the time difference. With modern technology, communicating with anyone from anywhere is almost always possible. The difficulty is that if the person you’re trying to contact is asleep you’re still not going to be able to talk to them. I’ve spent a lot of time living in France, which is one hour ahead of the UK. With a small time difference the main challenge that arises is communicating what time you actually want to talk to someone. My general tactic is to say “ring me half an hour from now” rather than “ring me at 5:30” as I found that most people forgot that I was an hour ahead. But the five-hour time difference between the UK and ET might be more problematic. My only experience of the transatlantic time difference was last summer when I found myself long-distance dating someone living in New York while I was in France, a six-hour time difference. We found that the best time to talk was his lunchtime and my dinnertime, e.g., 1 p.m. in NY was 7 p.m. in France, which are reasonable times for both people. This worked great until he got a job and wasn’t able to sit around on Skype in the middle of the day. This made it much more difficult to fit in calls outside of both of our working and sleeping hours. My friends and family at home are all very busy people, so finding times to call is difficult at the best of times. I’m hoping that it’ll work in my favor that I’ll be the one five hours behind, i.e., my lunchtime will be their evening, so,if I have signal, I’ll be able to call them in the middle of my day. On a similar note, I’m unlikely to have any friends or family come and visit me while on the trail. This is due to many factors, including distance, cost and the general logistics of trying to work out far in advance where I’m going to be and when. Also, unless anyone is planning a major relocation, I don’t have anyone along the trail that I can visit. I’ve lived away from home before but this will be the longest time I’ve ever gone without seeing a familiar face. This is pretty daunting but I’m hoping the hiking community on the AT will live up to the hype and help carry me through. I’ve never had to source my own food for a hiking trip before. 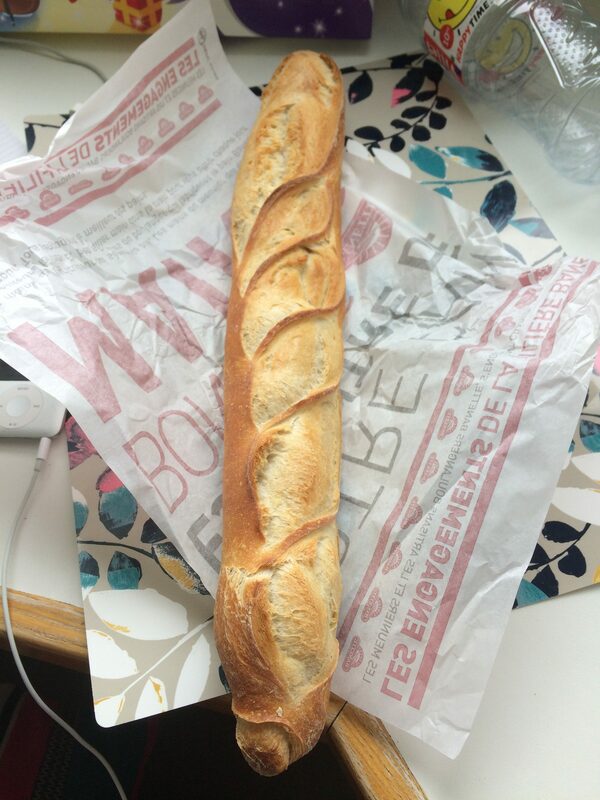 When day hiking in France I would buy a baguette, eat half for breakfast, shove the rest in my bag, and continue to rip chunks off it throughout the day. I’d supplement it with a packet of Haribo and an apple if I was feeling extravagant. But these were short trips where I’d be home in time for tea. Something tells me this technique won’t cut it on a thru-hike. At present I’m planning to source all my food from shops along the way rather than posting resupply boxes to myself. Some of my reasons for this are that I don’t know anything about the US postal system, I don’t have anyone in the US to post stuff to me and the cost of posting stuff from home to the trail would outweigh any savings made from buying things in bulk ahead of time. My other reasons are similar to other peoples, mainly that I don’t want to be restrained by having to go to certain post offices at certain times. So what am I going to eat? To be honest, I don’t know exactly. My stove will mainly be used to boil water which I can then add to sachets of things like porridge, pasta, and noodles for meals. Then there’ll be lots of snacks; cereal bars, chocolate bars, dried fruit, sweets, anything that won’t go off in my pack. I recently read a blog post about food on the AT. The author listed all the types of food that they picked up from regular supermarkets along the way. This was supposed to show that most of the food eaten by hikers is just regular food. I didn’t recognize most of the brands. Some things I couldn’t even tell what they were from the pictures. I know that food in the UK and food in the US is pretty much the same but it might take me a while to suss out what’s what. Before I go I’ll map out where I’m going to resupply for the first few weeks so that even if I don’t know exactly what I’ll be buying I’ll know roughly where and when. As with many things to do with this hike, I’m having to learn the art of not obsessing over every detail. I’ve got to trust that if the supermarkets found along the trail have been sufficient to fuel hundreds of hikers every year for many years then there’s got to be something in them that’ll work for me. A benefit of going in blind is that everything will be new, I’m hoping that having an entirely new range of snacks to try will mean that it’ll take longer for me to get bored of eating them repetitively on the trail. And although I’m not going to be sending myself any resupply boxes I’m hopeful that I might be able to convince some friends to send me out some Cadbury once in a while. Thru-hiking from abroad does have its additional challenges, but to be realistic, would I have committed to a thru-hike if I didn’t like a challenge? Half the battle is viewing them as interesting challenges rather than barriers. The internet is a wonderful place full of so much information, which can at times be overwhelming. The biggest thing I’m learning from all this is to read and research as much as I can but to remember that at the end of the day it’s down to me to make decisions that seem right to me and that sometimes the best plan is not to plan too much. I’m starting to understand the meaning of the phrase I’ve seen all over the thru-hiker internet: Hike your own hike. Congrats if you made it this far down my endless post. I’d love to hear from anyone reading this who has experience of any of these things. Any friends reading this who fancy a holiday in the States, come visit me!